Hurricane Florence, which recently hit the East Coast, especially North and South Carolina, was one of the most powerful hurricanes in decades. For those in Hurricane Florence’s direct path, it will take many months to clean up and recover. 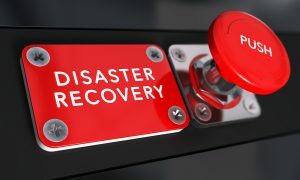 If your business is involved in the disaster recovery efforts, Riviera’s invoice factoring can provide immediate cash flow to help cover increased expenses during this critical time. Businesses that may be eligible for this type of alternative financing include: transportation, ground maintenance, janitorial services, commercial cleaning, roofing, HVAC repair and maintenance, commercial painting, signage, dirt and gravel hauling, building maintenance, auto glass, and road maintenance. These are just some of the businesses that can benefit from invoice factoring in times of increased demand after a disaster. In order to qualify, you must provide products or services to creditworthy businesses or government agencies and bill on 30 to 60 day terms. You’ll also have to show invoices & back-up for completed work. As soon as work is completed or goods are delivered, invoices are sent to the factoring company which verifies completion, then pays you immediately. The factoring company will then wait the 30-60 days to collect payment from your customer. The following are some of the leading benefits of invoice factoring for sudden business capital needs. Get Fast Access to Cash. While loans can take weeks to process, invoice factoring can often take just a few days for approval and get you cash within 24 hours. Simpler Approval Process. No lengthy application or minimum credit score required. Even businesses that have trouble qualifying for loans are often eligible for invoice factoring. The factoring company considers your customers’ credit rather than yours. Flexibility. You can decide which invoices you want to factor. Riviera Finance works with businesses to come up with the best terms to suit your needs. Avoid Debt. Invoice factoring isn’t a loan so there’s no principal or interest to repay. The experienced team at Riviera Finance will help you receive the financing you need as soon as possible. We offer streamlined paperwork and a fast approval process. To find out more about our services, contact Riviera Finance today. If you or your business were impacted by Hurricane Florence you should take advantage of every possible resource to help you recover. Visit the FEMA website to find out what resources are available to you.